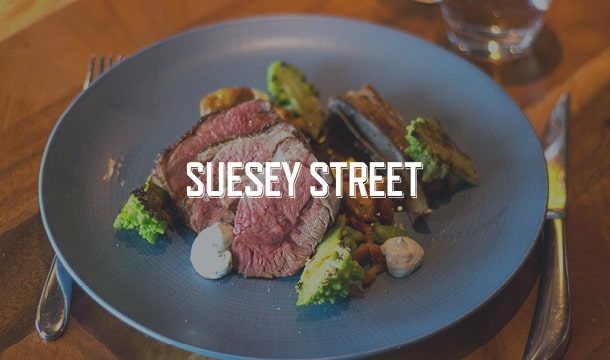 Suesey Street has an impressive private dining room, the Suesey Suite, that can accommodate up to 40 guests for lunch or dinner, or 100 guests on an exclusive use basis. 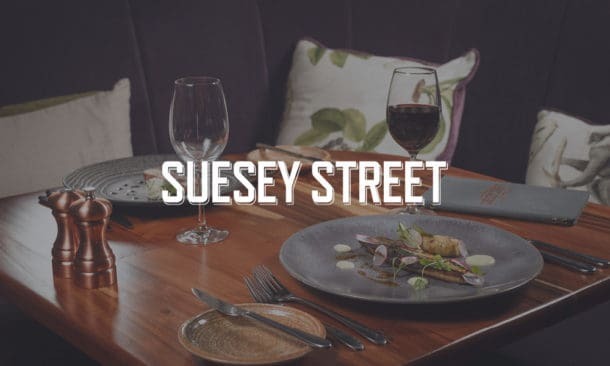 The room is separated from the main restaurant by a large velvet drape and with direct access to the terrace, the Suesey Suite is the ideal space for a discrete business lunch, a lively press launch or even a stylish wedding dinner. To hire the Suesey Suite exclusively, there is a minimum number requirement of 30 guests. If you wish to hire the room exclusively with a smaller group, a room hire charge would apply. Please contact us below regarding your event and a member of our team will be in touch with you as soon as possible. Please contact us below regarding your event and a member of our team will be in touch with you as soon as possible.